After five years of living in Astoria, I’ve had the opportunity to brunch at countless restaurants throughout the Queens neighborhood, which has developed a reputation for its impressive food scene. From classic comfort food to creative creole dishes, Astoria offers just about every type of food imaginable. Below, I’ve rounded up my favorite brunch spots in the neighborhood. The Bonnie, located in the charming Ditmars Boulevard neighborhood of Astoria, has everything you need for a perfect brunch — delicious food, a varied list of creative cocktails, and a charming, Instagram-worthy space. The cozy gastropub has exposed brick walls and tile flooring that give the space an inviting feeling, and in the warmer months, there’s a spacious outdoor patio in the back we highly suggest you check out. As for the food, the loaded tater tots, made with cheddar, cheese curds, chives, bacon, and chipotle crema, are a must, and the dry-aged breakfast burger is another one of my favorites. The drink menu is creative and lengthy, so no matter what you’re in the mood for, you’re bound to find something tasty to sip on. 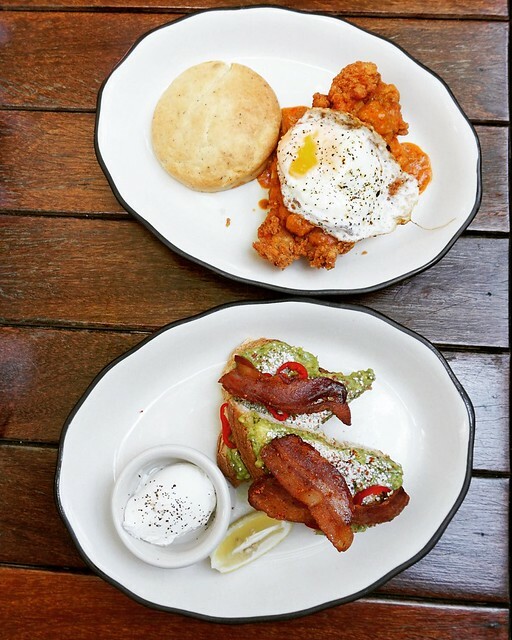 Read our full review of brunch at The Bonnie here. The Bonnie serves brunch on Saturday and Sunday from 10 a.m. to 4 p.m. 29-12 23rd Ave., Astoria. Sweet Afton is owned by the same people behind The Bonnie, so it comes as no surprise that the restaurant also serves up creative cocktails and a variety of tasty food options in a warm, inviting space (plus a beautiful outdoor area). 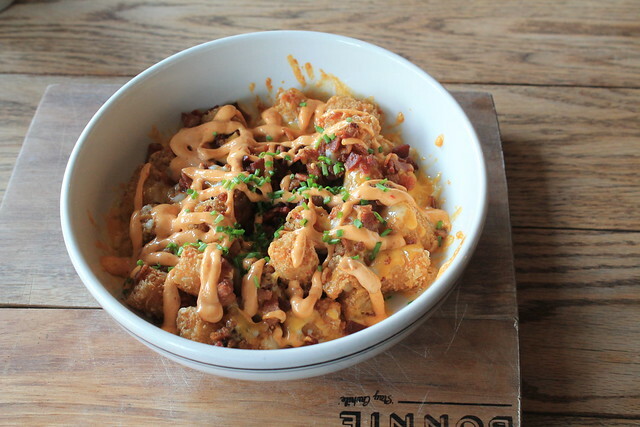 The BEC Bites, made with scrambled eggs, smoked bacon, cheddar cheese, cornmeal, and Chipotle sauce, are so tasty that they were named the Best Brunch Appetizer on our 2017 list of Best Brunch Bites. I’m also a big fan of the fried chicken and biscuit. Read our review of brunch at Sweet Afton here. Sweet Afton serves brunch on Saturday and Sunday from 10:30 a.m. to 4:30 p.m. 30-09 34th St., Astoria. Mom’s Kitchen serves up mouthwatering comfort food in a relaxed environment. If you’re craving a home-cooked meal but don’t actually want to make the trek home, Mom’s Kitchen is the place to be. 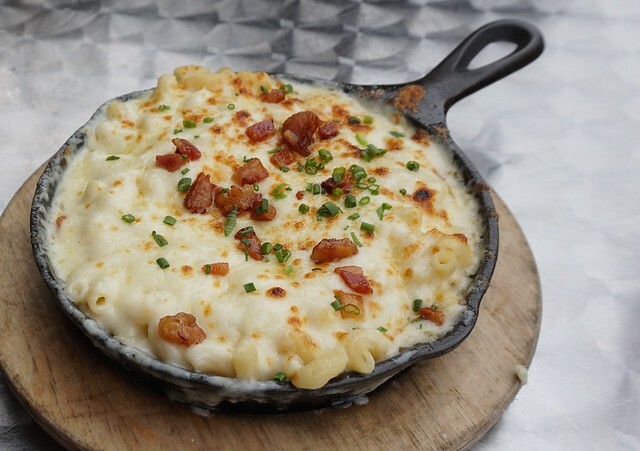 The Return of the Mac — macaroni smothered with white cheddar, gruyere, smoked gouda, and bacon — is a must-order, and the Tex Benedict, a unique twist on the classic eggs Benedict, is another one of my favorites. Read our review of brunch at Mom’s Kitchen here. Mom’s Kitchen serves brunch on Saturday and Sunday from 10 a.m. to 5 p.m. 33-01 31st Ave., Astoria. 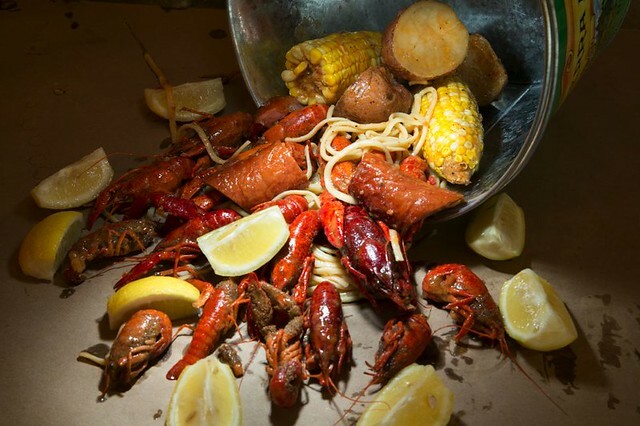 Transport yourself to New Orleans without leaving Astoria at Sugar Freak. This 30th Avenue hot spot serves up strong drinks and creative cajun-creole food in a fun and uniquely decorated environment. Seafood lovers won’t want to miss the seafood broil; you get to pick your meat — lobster, snow crab, crawfish, etc. — as well as a seasoning (garlic butter, traditional cajun, or old bay) and add-ons like smoked sausage. The hush puppies are another crowd favorite you shouldn’t sleep on. Read our review of brunch at Sugar Freak here. Sugar Freak serves brunch on Saturday and Sunday from 10 a.m. to 3:30 p.m. 37-11 30th Ave., Astoria. Queens Comfort might be the best brunch spot in Astoria. The food is spectacular, the atmosphere is fun, the prices are low, and it’s BYOB. From the chicken and waffles and the Captain Crunch French toast balls to the fried green tomato Benedict and the disco tater tots, the menu, which changes daily, is always full of inventive, mouth-watering brunch dishes. No matter what you’re craving, Queens Comfort has something that’s guaranteed to have you leaving full and satisfied. Read our review of brunch at Queens Comfort here. Queens Comfort serves brunch on Saturday and Sunday from 10 a.m. until 3 p.m. 40-09 30th Ave., Astoria. The Highwater, located on Broadway in the heart of Astoria, is a new addition to the neighborhood’s brunch scene having just opened in 2017. The bright, tropical-looking space is warm and inviting, and the amazing craft cocktail options are seemingly endless. 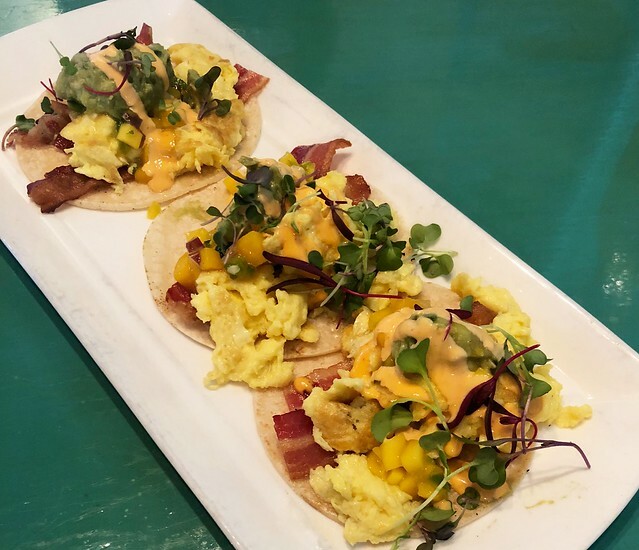 The brunch menu isn’t huge, but from the breakfast tacos to the hangover burger, each delicious dish I tried on a recent visit really hit the spot. 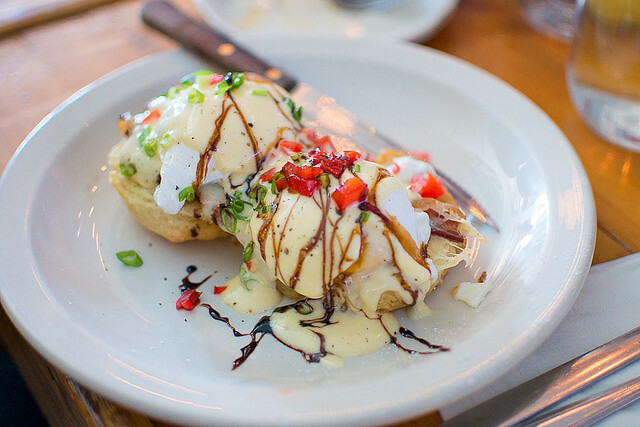 Read our review of brunch at The Highwater here. The Highwater serves brunch on Saturday and Sunday from 11 a.m. to 3:30 p.m. 34-20 Broadway, Astoria.